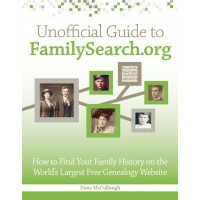 Knowing some background information on genealogy records and their historical context can help you search more efficiently for records on websites such as FamilySearch.org. What information should you know before starting your online genealogy record searches? Even if you don’t know an exact date for your ancestor’s birth, death, or other life events, it’s good to estimate the years. Knowing the years an ancestor lived will help you narrow your searches to focus only on the years the ancestor was alive. It also can help you determine which records to look in. For example, if your ancestor died in 1909, he won’t appear in the 1910 U.S. census and if he born in 1875 and a vital records collection contains records from 1900 to 1950, he won’t be in there either. Likewise, if your male ancestor was born in the 1890s, it’s possible he could have served in World War I, so you’ll want to look for his record in draft registration card collections. Record-keeping dates vary by location. For example, some U.S. states began keeping statewide vital records information as early as 1848, while others waited until 1907 to begin keeping those records. Knowing when record-keepers began tracking the information you’re searching will help you focus your searches and not waste valuable research time. A great free resource for knowing vital-records-keeping began is Family Tree Magazine’s Vital Records Chart (PDF). The FamilySearch Wiki also has helpful information about various record types. Consult the United States Genealogy entry in the Wiki to get some background on the available record types. A death date won’t be included in a birth or marriage records. A woman’s maiden name is used in her birth record, but likely not in her death record or on her gravestone. Censuses prior to 1850 listed only the name of a head-of-household, not everyone who lived at the residence. Knowing the types of information included in certain types of record can help you choose appropriate search terms or criteria. For example, when searching for a birth record on FamilySearch.org, don’t include a death date range in your criteria. When searching a pre-1850 census, don’t search on a woman’s name (unless she was a widow and head-of-household); instead, search on the name of her husband or father that she lived with. Again, for help learning the information available in various record types, consult the United States Genealogy Wiki entry, or a Wiki entry for the location where you’re researching, on FamilySearch.org. Knowing about various historical events during your ancestor’s day can help you focus your online searches, too. For example, if you know the dates of military conflicts that American military personnel were involved in, you can determine if any of those conflicts occurred during your ancestor’s lifetime and then search the appropriate records. In addition, knowing some historical background on the locations where your ancestors lived can help. Boundaries of cities, counties, and even states changed overtime. So, the present-day name of the county where your ancestor lived could have been different when he lived there, meaning his records could be in an entirely different county than you originally thought. And if he lived near a state border, his records could be in an entirely different state if the borders changed since he lived there. Use historical maps resources such as the Perry Castañeda Library Map Collection and the Newberry Library’s Atlas of Historical County Boundaries online tool to help identify boundaries at various times in history. Great information! I happen to live in the Milwaukee area. You don’t have any training sessions around here do you? Thanks for your feedback, Susan. Unfortunately, I currently do not offer any training sessions in the Milwaukee area.